Summer is finally here and for those staying on campus there are countless things to do in the area and even more just a train ride away! What better way to spend a hot afternoon than swimming in the Atlantic Ocean? Jones Beach is just a few minutes away and has a ton to offer this summer besides miles of sand. It is home to the Nikon Theater, an outdoor concert venue that will be hosting everyone from the Dave Matthews Band to Lil Wayne to Maroon 5 to Imagine Dragons! You can purchase tickets here. There are also free nightly concerts at the bandshell and places to play shuffleboard. So whether you’re getting a great tan or just taking a stroll down the boardwalk, don’t miss Jones Beach this summer! Ever wonder where your favorite movies were filmed? 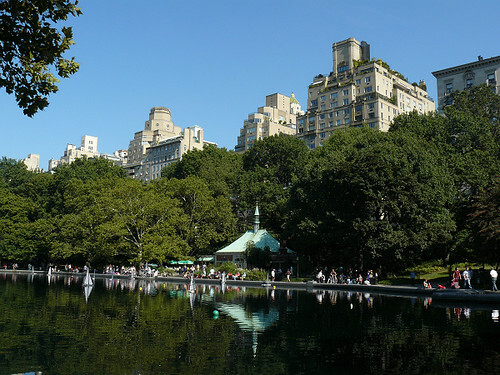 Chances are at least a few of them were filmed in the world famous Central Park. This green oasis is in the middle of the bustling city. Just take the train in and spend the day exploring! Here you can toss a Frisbee on the Great Lawn, take a jog around the Reservoir, find the memorial to John Lennon, or even discover Belvedere Castle. You can also rent rowboats or go to the Central Park Zoo. Be sure to look out for SummerStage, which is a series of free concerts in the park all summer long. You can also grab free tickets to Shakespeare in the Park, a series of Shakespeare plays put on by notable professional actors at the Delacorte Theater. Photo courtesy of Mike_fleming of Flickr. People dream their whole lives about being able to see Times Square or a Broadway play. Well lucky for us Hofstra students, that dream is a reality. While you’re in town over the summer make sure you catch a Broadway show. In order to get Student Rush tickets, you have to get to the box office early in the morning on the day of the performance. Don’t forget your Hofstra Card and cash! There are also Lottery tickets available to some of the more popular plays. You can enter the lottery a few hours before show time and then a limited number of names will be called and given the opportunity to purchase discounted tickets for that performance. Probably the best kept secret though is Standing Room Only tickets. Very often when a show sells out the performance, the box office sells a limited number of standing tickets for around $30 on the day of the show. Usually the view you have is just as good as what the people in the last few rows of the orchestra see. For more information on Standing Room and Student Rush tickets, click here. Right down the Turnpike from campus is Eisenhower Park. This huge park is home to countless activities. The park has an indoor aquatic center and a fitness trail. There are beautiful monuments to be seen along with an outdoor theater that has weekly free concerts. Eisenhower Park is home to one of the best mini golf courses on Long Island! It also has batting cages, a driving range, and an 18 hole golf course. For those a bit more adventurous, you can even take flying trapeze lessons! The park is so close to campus, you really shouldn’t miss out on the opportunities it holds. While summer classes are in session, campus is much more relaxing than during the semester. Everything is blooming and this arboretum is just a beautiful, peaceful place to be. Grab lunch and take it outside to enjoy the summer air! Do you have any cool summer plans that we didn’t list? Let us know in the comments!